PAF Mirage-III aircraft fired the bombs from 50km away on Indian military targets on February 27 but a quick interception by IAF fighters prevented any damage, sources say. A Pakistan Air Force (PAF) F-16 aircraft taking off from an unidentified airfield. Pakistan had targeted Indian military bases in Jammu and Kashmir on February 27 with 1,000kg H4 bombs in retaliation to Indian Air Force's (IAF) strike on Masood Azhar-led Jaish-e-Mohammed's (JeM) training camp in Balakot in Khyber-Pakhtunkhwa, according to media reports. 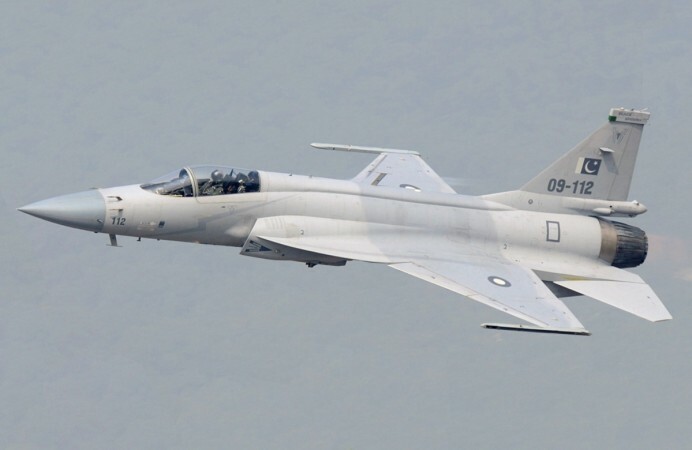 Pakistan Air Force (PAF) Mirage-III fighter aircraft escorted by US-built F-16s and Chinese-designed JF-17 Thunder fired their bombs from inside Pakistani airspace, government sources said. However, the bombs let go some 50km away missed their targets and did not cause any damage to military assets, according to unidentified sources cited by a report in The Economic Times. "On February 27, the Pakistan Air Force with its package of more than 20 planes led by the American F-16s along with the French Mirage-IIIs and Chinese JF-17, fired 11 H-4 1,000kg bombs from ranges of around 50km inside their territory at military targets at three locations but failed to hit any of them," the sources said. Military experts say the H-4 bombs are classified as stand-off weapons capable of being launched from a distance to aid in quicker evasive manoeuvres of jets that fire them and are similar to the Spice-2000 bombs IAF Mirage-2000 fighters used in the Balakot strikes to avenge Pulwama terror strike. The H-4 bombs that Pakistani ordnance factories make with the assistance of South Africa are not accurate. "The H-4s are not very accurate and missed their targets. In one of the attacks on an army camp in Jammu and Kashmir, the building was protected by a tall and thick tree which suffered extensive damage but deflected the Pakistani bomb," the sources added. Senior officers were present inside the military campus when the attacks took place, according to the report. The bombs fell on three locations near the Poonch sector. A Board of Officers has been formed to analyse the bomb debris. Chinese-designed JF-17 Thunder aircraft which PAF deployed against India in its attack on February 27. Military sources speaking on condition of anonymity said that the reason for the Pakistani jets missing their targets could be the quick response of Indian jets scrambled in response to the Pakistani formation approaching the line of control (LoC). The Indian defensive formation included MiG-21 close combat fighters, Mirage-2000 multirole fighters, and Sukhoi-30 (SU-31MKI) air superiority fighters. In haste, the H-4 bombs were let off thereby missing their intended targets. 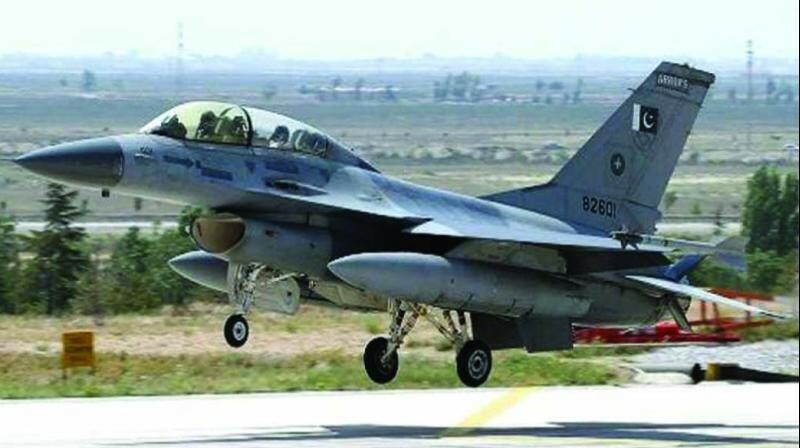 The Pakistani fighter planes had earlier taken off from different bases on February 27 and gathered over the Pakistan-occupied Kashmir and Northern Areas before they launched attack formation targeting Indian military installations, according to the report. During the skirmish Wing Commander Abhinandan Varthaman on a MiG-21 shot down an F-16 plane using an R-73 air-to-air missile. Abinandan's plane itself got hit by an air-to-air missile from the F-16 following which both planes careened off to the Pakistani Kashmir area. Abhinandan bailed out and was taken a prisoner to be returned to India following international pressure days later. Reports say the Pakistani pilot, who also landed on the Pakistan-occupied Kashmir succumbed to severe injuries sustained in a mob attack.